A substation is on fire at Allandale in Midrand. Eskom says technicians have been dispatched to the scene. The cause of the fire is not yet known. However, loadshedding has in the past been linked to substations catching fire. The power utility has responded with an apology to the affected residents. Ivory Park and Thembisa are among the areas without power after the substation caught fire. This is the second substation to go up in smoke in as many weeks following another one in the Vanderbijlpark area last week, which has left the surrounding suburbs without for more than a week. Ekurhuleni firefighters were on the scene. This incident comes as the country grapples with the supply of electricity. 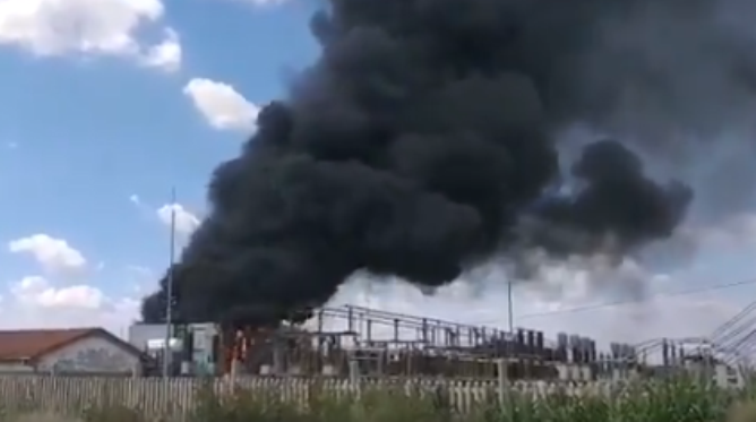 The post Another substation on fire … this time in Midrand appeared first on SABC News – Breaking news, special reports, world, business, sport coverage of all South African current events. Africa's news leader..